Stone carved typography from The Merkinch Circles. A collaboration with poet, Ken Cockburn and artist Mary Bourne: Local people were asked to respond to the area at the mouth of the River Ness. 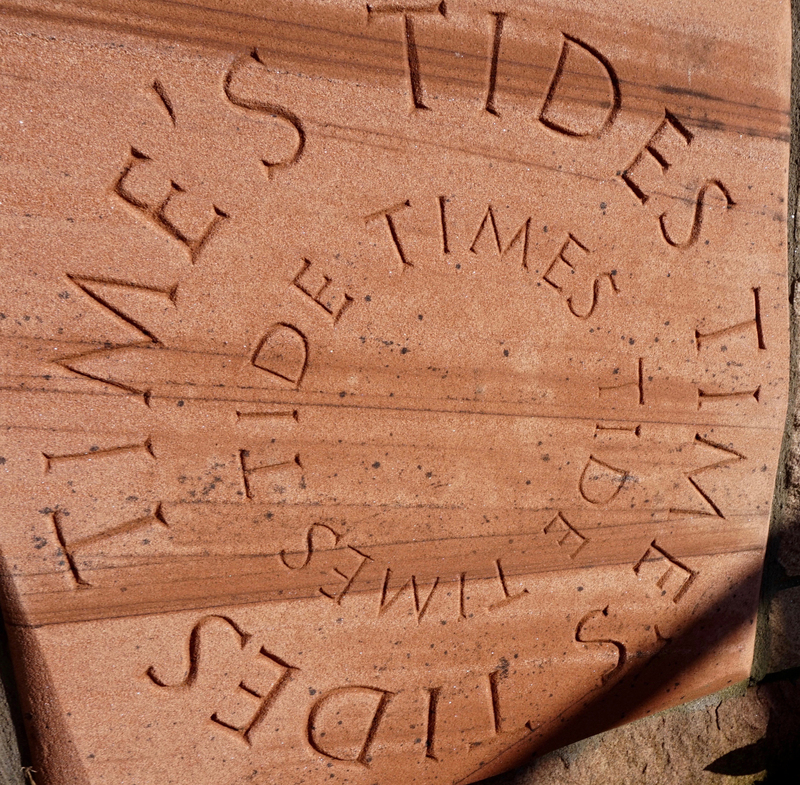 Ken Cockburn ran a poetry workshop and Mary Bourne then taught them letter cutting, enabling them to carve their poems into stone to be incorporated into a seating area overlooking the mouth of the Ness. Project commisioned by the Highland Council.